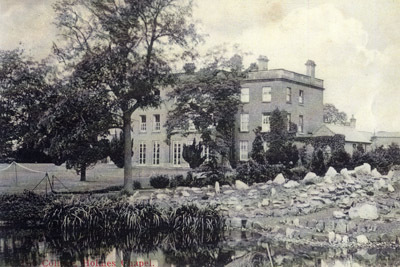 Saltersford Hall. Agricultural College. 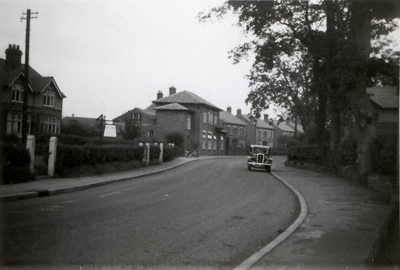 This was situated at Saltersford Corner, the junction of Manor Lane and Macclesfield Road. 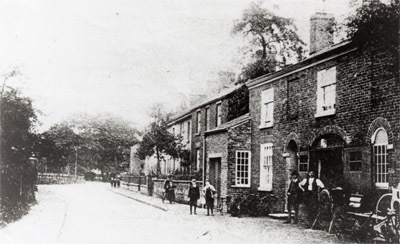 The Smithy, Macclesfield Road, now Sam Dales. 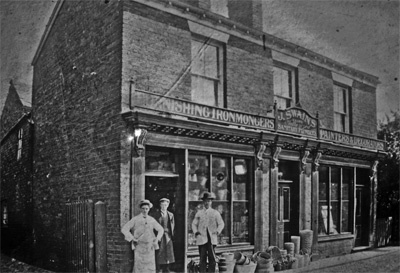 On the left Sam Swains Plumbers & Ironmongers, constructed in 1830 and now Don Alberto's Restuarant. Sam Swain, on the left, was	Chairman of the Parish Council for many years. Jim, his brother, is in the doorway and to the right Sam Steele, a former apprentice to the Swains. The building on the right was the habberdashers. 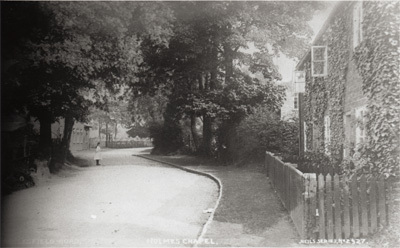 Macclesfield Road looking towards the Macclesfield Road School in the distance, now St Mary's Catholic Church. 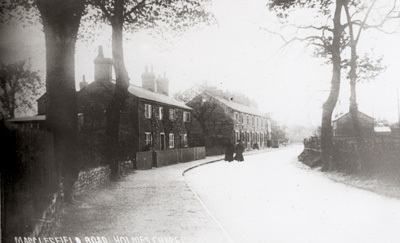 View looking towards the village centre. 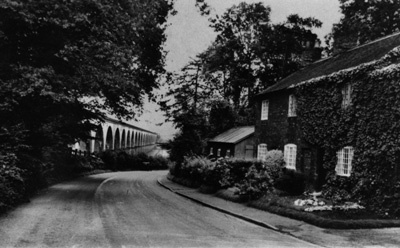 Two rows of cottages. 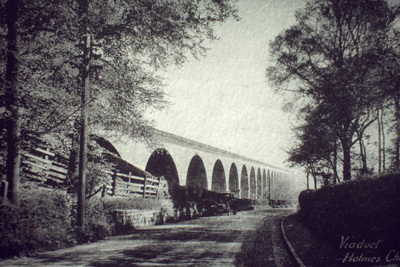 The far row, called Rain Tub Row, was demolished during the 1960s to make way for Sandiford Road. 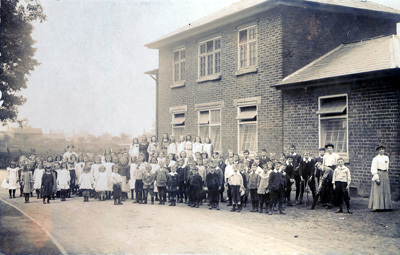 Primary School photo taken on Macclesfield Road.